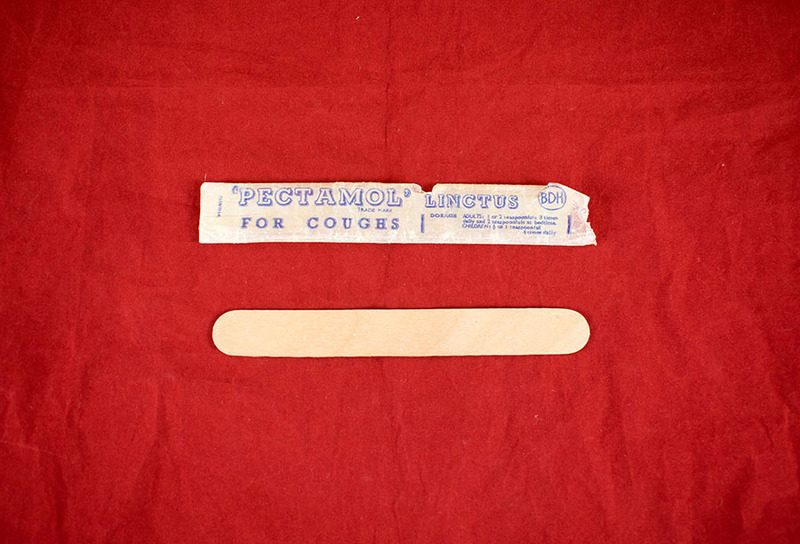 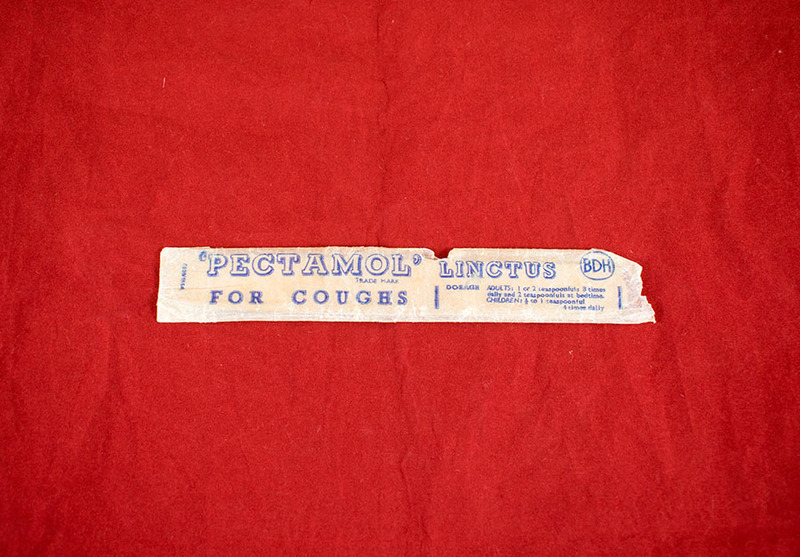 Tongue depressor in a wax paper bag advertising Pectamol for coughs. 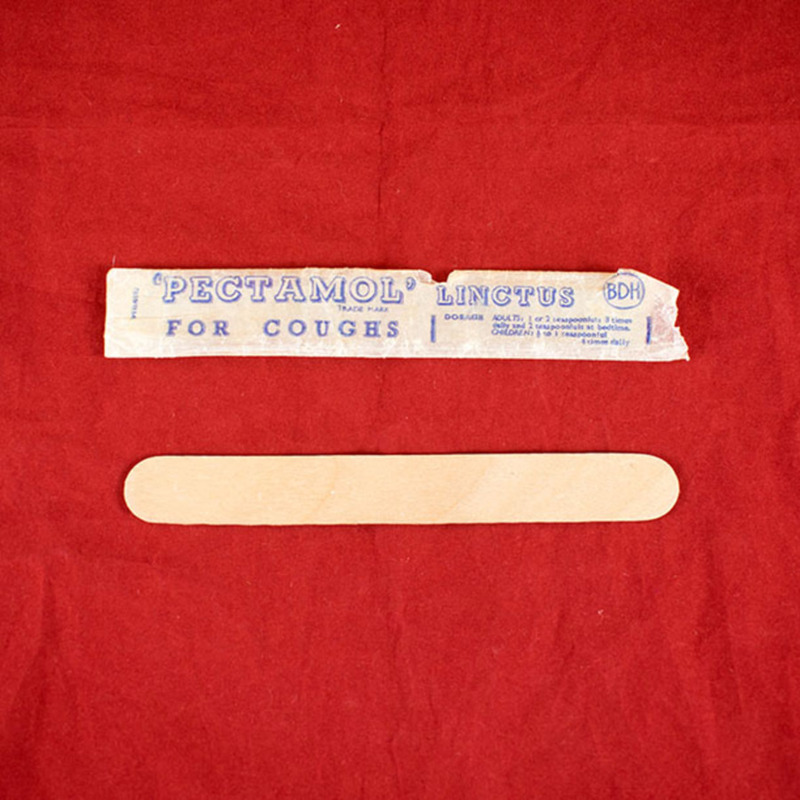 “Tongue Depressor,” Heritage, accessed April 25, 2019, https://heritage.rcpsg.ac.uk/items/show/726. 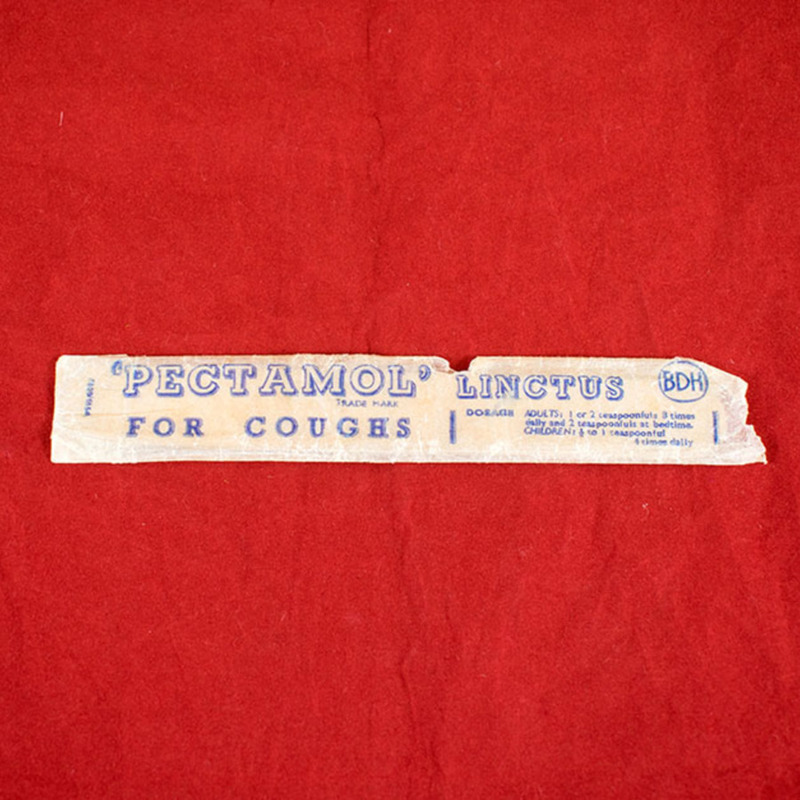 Description: Tongue depressor in a wax paper bag advertising Pectamol for coughs.